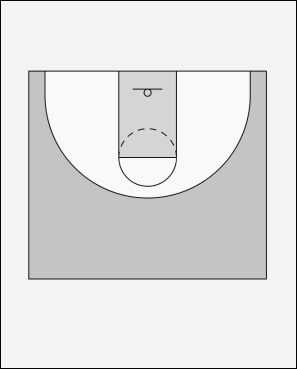 This Drill teaches Focus, Concentration, Attacking a Rebound, Agility and Conditioning. Coaches set up just outside the paint and on the free throw line. Ball starts at FT line. The coaches pass the ball in a triangle as the player runs from coach to coach to touch the ball. When the ball gets to the 3rd coach he throws it off the backboard to the opposite coach as the player rebounds landing outside the lane. The player then reverses the ball and the drill continues until it gets back to the 3rd coach again. I usually run this drill 7-10 complete cycles then draw in a new player from the line. If you have enough assistants you can break up at different baskets..